Let’s admit it, no matter how much advance We’re in terms technology and storages, glitches and errors always occur. Either we accidentally delete some of our valuable pictures, or the storage device crashes, virus attacks, and we lost all of them at once. Although backups can save your day but for the unfortunates, the time comes when you start to curse yourself for all the loss. Suppose you’ve captured some precious photos of your child’s first birthday or any other special moment, and accidentally your hard disk crashes that contain all of these pictures. What would you do? So it’s better to find a solution that can help you from such upcoming situations. Fortunately, RS Photo Recovery is the ultimate solution to all this chaos. 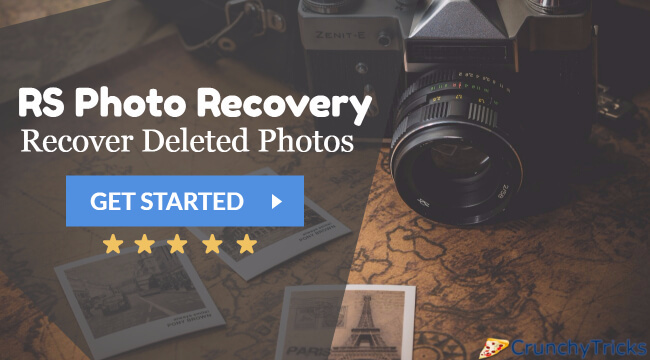 This photo recovery client specializes in restoring lost pictures, media data. 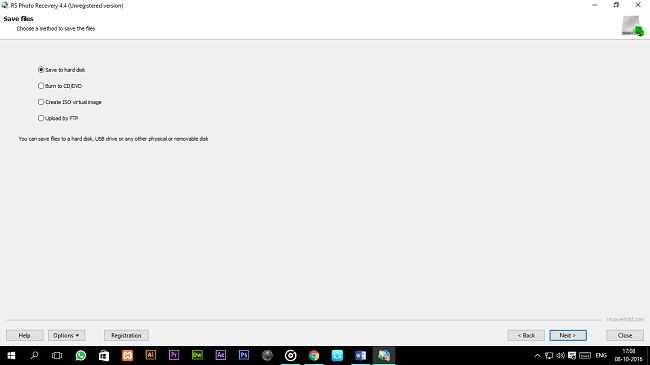 The software version is currently available for Windows systems. So let’s explore all the features that this tool offers. Before going for all the hastily recovery, you’ll need to download and install the software on your device. Since the tool is offering so many remarkable features, you can expect that it is a premium tool. However, the company has a trial version for all the customers to assess out all the features. The trial version is available on the official website, and you can download RS Photo Recovery from here. The installation process only takes up few minutes, and you can start the recovery process right from here. Right after setup, the software greets you with a very straightforward and familiar interface. There is a step by step guide to recover all the images from any storage partition on your hard disk, or any other removable media storage device. The recovery wizard is pretty simple and helps you to recover any lost, deleted file from your system, even if you’re not familiar with the all this recovery stuff. It starts the process automatically and guides you to select the file partition, where the file is located. After the selection process, you can then select the scanning mode. There are fast scan and deep scan options that allow you to spool through all the files descriptively. I opted the fast way, and it exceptionally started displaying images and pictures that I thought were deleted from my hard disk. 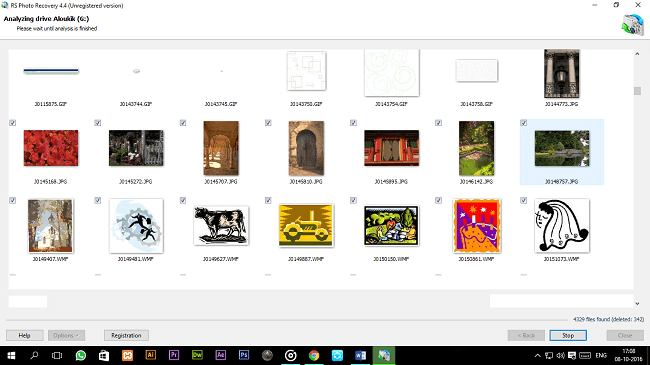 The preview option allows you to quickly view all the scanned files that you want to recover. In only 30-35 seconds, the software scanned and displayed around 4500 images on my hard disk. So you can say that RS Photo Recovery is enough fast and performance oriented. After the scanning process was complete, the tool automatically displayed the option to backup and restored the selected files in multiple formats. You can either save the photos on your hard disk, or any other removable media device like a pen drive, burn the files to a CD/DVD, create an ISO file, etc. Moreover, the software also offers you to upload the files to an online storage (cloud or Google Drive) via FTP. Well, these are the perks of using a premium tool. The software supports almost every standard file format for images and pictures like jpeg, jpg, .cr2, crw, BMP, Raw, PSD, cdr, pef, x3f tiff, tif, nef, etc. Also, RS Photo Recovery has extended support for all the RAW file formats of DSLRs like Canon, Nikon, SONY, etc. You can recover media files from literally any memory card and storage devices such as SD Cards, SDHC, SDXC, Flash Drives, or any other external media drive. With this recovery tool, you can restore files from a typical Hard Disk, SSD Drives and it also supports recovery options for images that were deleted from your FAT and NTFS partitions. How Much Does RS Photo Recovery Cost? Let’s keep it straight forward, for any premium service you need to pay a little fee for its undisputed access. 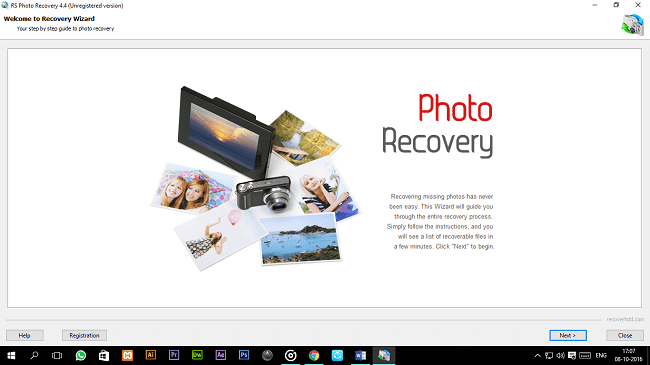 Similarly, with so many premium features and recovery options, RS Photo Recovery also costs a price of $49.95. The tool is priced the same globally, and you can register and purchase the pro version from the official website. There are other versions as well, Office & Commercial. You can get more details about the pricing here. All in All, RS Photo Recovery is an excellent choice and comes very useful at multiple times. Though it is a premium too, you can experience all of its amazing features from the trial version. It is free and is available on the official website. So, it is now the time to save all your precious images and pictures which were once deleted from your device. Do share your thoughts on the software. Cheers! Previous articlePlanet Assault Review: Ready to Bomb in the Space?